The Planning Commission of the City of Lyndhurst will not hold a Regular Meeting in December. The Planning Commission of the City of Lyndhurst will not hold a Regular Meeting in November. 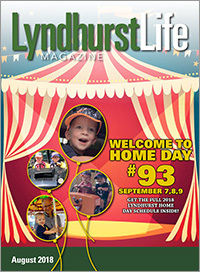 The Planning Commission of the City of Lyndhurst will not hold a Regular Meeting in October. The Planning Commission of the City of Lyndhurst will not hold a Regular Meeting in September. The Planning Commission of the City of Lyndhurst will not hold a Regular Meeting in August. To meet in Special Session on Tuesday, July 26, 2011 at 7:00 p.m. in the Council Chamber of the Lyndhurst Municipal Center, 5301 Mayfield Road. Mayor Joseph M. Cicero, Jr., presiding. Approve minutes of the Regular Meeting held June 23, 2011.
Review revised plans amending a Cluster Housing development proposal of Joseph Aveni, of Acacia Development Company, Ltd., located at the Acacia Country Club Estates. Previous meetings held: November 29, 2007, July 24, 2008, June 23, 2011, July 6, 2011. The Planning Commission of the City of Lyndhurst met in Special Session on Tuesday, July 26, 2011 at 7:00 p.m., in the Council Chamber of the Lyndhurst Municipal Center, 5301 Mayfield Road. Joseph M. Cicero, Chairman, presiding. It was moved by Councilman Ward, seconded by Mr. Febo, that the reading of the minutes of the Regular Meeting held June 23, 2011, copies of which were mailed to all members, be dispensed with and said minutes stand approved as circulated. Review revised plans amending a Cluster Housing Development proposal of Joseph Aveni, of Acacia Development Company, Ltd., located at the Acacia Country Club Estates. Mr. Joseph Aveni stated proposed revised plans had been submitted to the Planning Commission; the first sheet of the plan being the approved original subdivision, the second sheet is the revision of the original approved plan and the third sheet being colored rendering which shows all setbacks, which are in conformance with the zoning code. He further stated that fifty-three (53) units with eleven (11) being duplexes are shown. He stated that the lots are at least ten thousand (10,000) square feet, the front setbacks are thirty (30) feet, the rear setbacks are forty (40) feet; there is five (5) feet between individual homes and fifteen (15) feet between duplexes. Mr. Febo presented two drawings of the proposed amended plans. He explained that the upper portion of the proposed amendment to the plan meets the Cluster Housing requirements of the code, and will not adversely affect the residents in that area and therefore, recommends approval; however the lots abutting Winchester Road, which he feels will adversely affect the abutting neighbors on Winchester Road, due to not meeting the requirements of the code, specifically Chapters 1161.01 Purpose and Intent, and 1161.11 Design/Construction, be denied. At this time, the secretary read portions of Chapter 1161.01 and 1161.11. Mr. Febo stated he is adamant that only single family homes abut single family homes, specifically on Winchester Road and Golfway Lane. He further stated that with the proposed amendment to the plan, the existing houses on Winchester Road would not be protected from loss of light, air and view, as stated in Chapter 1161.11. Councilman Ward stated that there are three (3) duplex units shown on the proposed amendment to the plan abutting Winchester Road, two duplex units at the beginning of the street one with a minimum setback of forty (40) feet, and one with a greater setback; the duplex unit at the corner of Winchester Road and Golfway Lane also has a setback of greater than forty (40) feet. He further stated that since the duplexes are attached at the lot line, each having their own lot, there is fifteen (15) feet between structures. He stated that this proposed amendment to the plan is a credit to the city's process in being that the amount of duplexes has greatly decreased, and the amount of space between units has increased. Mr. Aveni stated that there were six (6) duplex units previously proposed abutting Winchester Road, and as of this proposed amendment, three (3) were eliminated. Mr. Sirk stated he is encouraged by the scaled down homes abutting Winchester Road on the proposed amendment to the plans. Mr. Aveni stated that the homes on the proposed amendment to the plan which abut Winchester Road are one and a half (1½) stories, and have a smaller footprint, are more desirable in today's housing market. Mr. Kunz explained that if the plan that the Planning Commission has before them this evening was submitted back in 2006 when the original plan was submitted, it totally complies with all the requirements of a Cluster Single Family Development. A forty (40) foot rear yard setback is a minimum setback requirement in any ten thousand (10,000) square foot single family zoning district which applies to all the existing homes on Winchester Road, and Mr. Aveni is meeting that forty (40) foot setback requirement with the homes on Eagle Point Drive. He further pointed out that although Mr. Aveni purchased land that was zoned ten thousand (10,000) square foot single family district, once a conditional use permit was permitted for that property, the setback requirements would be applied to a subdivision in a ten thousand (10,000) square foot single family district would no longer apply. The only thing that matters are the setbacks and distances between properties, if Mr. Aveni chose, this could be a total condominium development where a person would just buy a home and the land around them would be held in common by the rest of the owners then maintained by the association; so there wouldn't be any property lines. That is why the codes states ten (10) feet between single family dwellings and fifteen (15) feet between duplex dwellings, twenty-five (25) feet from the nearest edge of the sidewalk or curb to the front setback of a house and a forty (40) foot rear yard. He then stated that Mr. Aveni, with this proposed amendment to the plan, meets all requirements. He further stated that he feels that when comparing the Cluster Development to what would be permitted in a ten thousand (10,000) square foot single family subdivision, there is very little difference except for the fact that in a cluster development, the code would allow the developer to build more homes closer together, which provides more green area and open space, which Mr. Aveni has chosen to do. Mr. DeCrane stated that since the economy has not been good for eight years or so when this proposal was first introduced, the housing market has changed. He stated that he feels this proposed amendment meets the needs and desires of the public. He further stated that it is a positive sign that the builder is staying with the project. Mr. Kunz reminded the Commission that each time a home is submitted for a building permit, a site plan drawn to scale showing the setbacks must be submitted to the Building Department and reviewed by the City Engineer for compliance with the setback and other regulations. In answer to Mr. Febo's comments, Councilman Ward stated that all lots shown on the proposed amendment exceed the ten thousand (10,000) square foot lot regulation for that district. He further stated that Mr. Aveni has met the challenge, and worked with it by reducing the overall density of the project and has removed almost all of the duplexes along what abuts Winchester Road, and lastly, has increased the green space by having zero (0) lot lines for the duplexes. Mr. Sirk concurred. It was moved by Mr. DeCrane, seconded by Councilman Ward that recommendation is made to Council to approve the revised plan amending a Cluster Housing Development located at the Acacia Country Club Estates depicted as C1, dated July 12, 2011, as to the number of dwelling units shown and the concept on the plan be approved subject to meeting the requirements of the Cluster Single Family zoning regulations. It was moved by Councilman Ward, seconded by Mr. Sirk that the meeting be adjourned. Motion carried, meeting adjourned at 7:37 p.m.
To meet in Workshop Session on Wednesday, July 6, 2011 at 7:00 p.m. in the Conference Room of the Lyndhurst Municipal Center, 5301 Mayfield Road. Mayor Joseph M. Cicero, Jr., presiding. Commissioners: V F DeCrane, R S Febo, D J Sirk, J M Cicero, P A Ward. Review and discuss request of Mr. Joseph Aveni, to amend the final plan of development under 1161.09, Amendment to Plans, of the Planning and Zoning Code, to property located at Acacia Country Club Estates. The Planning Commission of the City of Lyndhurst met in Workshop Session on Wednesday, July 6 at 7:00 p.m. in the Conference Room of the Lyndhurst Municipal Center, 5301 Mayfield Road. Review and discuss request of Mr. Joseph Aveni, to amend the final plan of a Cluster Housing Development under Chapter 1161.09, Amendment to Plans, of the Planning and Zoning Code, to property located at Acacia Country Club Estates. Mr. Tom Ackerman, Contractor, distributed four different site layouts relative to the final plan for Acacia Country Club Estates. He explained the first plan, SP1 is the original proposal, which shows 46 units with 2 duplexes; the second one, C1, shows 54 units with 11 duplexes and 10,000 square foot lots abutting Winchester, C1-2 also shows 54 units with 11 duplexes; SP2 which shows 10,000 square foot lots abutting Winchester, with 54 units and 10 duplexes. Mr. Aveni, owner, stated that the duplexes are low profile, only a story and a half. In answer to Councilman Ward's question, Mr. Aveni stated that the existing manor homes are two and a half (2 ½) stories. Mr. Febo stated that he is adamant about retaining single family homes along Winchester Road and Golfway Lane. He stated that it is by ordinance that single family homes abut single family homes, and the reasons are stated in past minutes. He further stated that a portion of the Acacia Country Club Estates is single family zoning, and the balance is Cluster zoning; he would like to see the duplexes in the Cluster area only, and not abut the single family homes on Winchester Road and Golfway Lane. He explained that if a Mixed Use development was to be proposed in the future on the land abutting this proposal, presently Acacia Country Club, the Commission would be hard pressed not to grant it, if Cluster zoning were to abut single family homes as shown in this proposal. Mr. Aveni stated that people are looking for different types of housing, not just single family homes. He further stated that he, with this development is trying to meet the desires of the present housing market by adding duplexes. He further stated that the single family homes (which would abut Winchester and Golfway) would be higher and larger than the proposed duplexes. Mr. Sirk stated that he spoke with residents after the last meeting and they are not in favor of the high elevations of the proposed duplexes. Mayor Cicero stated that the cluster homes which are proposed along Winchester Road are lower than the height of the existing manor houses. Mr. Aveni confirmed Mayor Cicero's statement. Mr. Sirk stated he feels that proposed plan C1, would be going in the direction of what transpired at the last meeting; the duplexes shown to be on the other side of Eagle Point, not abutting Winchester Road. Mr. Febo stated that the minimum width of the lots should be seventy-five (75') feet. He then read from the minutes of previous meetings in regards to lot sizes. Councilman Ward stated that since the beginning of this proposal, the Planning Commission has since slightly changed those standards, approved and adopted this plan. He stated that according to the approved plan, the infrastructure was installed and investments were made. He then stated that the lot sizes are at least sixty-eight (68') feet in width. Mayor Cicero stated that the owner and developer of this land are asking the Planning Commission to review this proposed development for the current housing market. Mr. Murphy stated that single family, according to the code, means a single home on a single lot; a duplex means two units on a single lot. He further stated that this proposal has one unit on each single lot. He then stated that Council has approved what is existing. Since then, the developer has come to the Building Commissioner and requested changes, and under the chapter "Amendment to Plan" section of the code, has referred this to Planning Commission, and ultimately to Council for consideration as to what changes, if any would be allowed by the city. In answer to Councilman Ward's question, Mr. Murphy explained that the proposal was originally approved as a conditional use under the ten thousand square foot single family zoning classification. He further explained that the Commission's responsibility now is to look at the proposal of the developer and to determine whether or not those changes are in keeping with what the Cluster development chapter of the code anticipates, and the developer has proposed other potential changes for consideration. Mr. Aveni stated that when this plan was initially presented, it was on a golf course community, and presently, it is questionable whether the golf course will remain. He further stated that with the future of the golf course in question, the project is being marketed as a normal subdivision, with homes being priced lower. He further stated that more ranch style homes may be built with smaller floor plans, which will hopefully sell. In answer to Mr. Febo's question, Mr. Puskas stated that this proposed change to the previously approved plan meets the requirements of Cluster developments. Mr. Febo then stated the proposed changes to the plan are not specific, and would like a more detailed account of what exactly would be changed, and what the developer wants. Councilman Ward stated that he feels the proposed plan SP2 would not be a consideration; C1-2 would be the best proposed amendment, however the Commission would have to identify which lots shown on C1-2 do not conform to the minimum thirty (30) foot setback. He further stated that proposal C1-2 minimizes the impact to Winchester Road and Golfway Lane. He then recommended more spacing between the two duplexes that are side by side along Winchester Road. In answer to Mayor Cicero's question, Mr. Sirk stated if Mr. Aveni would come to the Planning Commission with the proper thirty (30) foot setbacks and everything in place, the proposed amendment would definitely be considered. Mr. Sirk then stated that he feels there will be problems with the remainder of the lots as configured currently. He then recommended that the existing infrastructure be revised. Mr. Aveni stated he would not change the infrastructure due to financial reasons. Mr. Murphy explained to Mr. Aveni that the next step would be to submit to the Building Department the proposed amendment to the plan which the Commission finds more acceptable, so that the Building Department can compare what has been approved versus the proposed changes, and then submit the proposed amendments to the Planning Commission for final approval. It was understood that most lots would have a minimum setback of thirty (30) feet, except for certain lots. Mr. Sirk recommended that the minimum lot width on the resubmission of the proposed amendment be sixty-five (65) feet. The Commission concurred. To meet in Regular Session on Thursday, June 23, 2011 at 7:30 p.m. in the Council Chamber of the Lyndhurst Municipal Center, 5301 Mayfield Road. Mayor Joseph M. Cicero, Jr., presiding. Approve minutes of the Special Meeting held April 7, 2011.
Review request of Mr. Joseph Aveni, to amend the final plan of development under 1161.09, Amendment to Plans, of the Planning and Zoning Code. Review request of Mr. Ron Fisher to amend the final plan of development under 1161.09, Amendment to Plans, of the Planning and Zoning Code. The Planning Commission of the City of Lyndhurst met in Regular Session on Thursday, June 23, 2011 at 7:30 p.m. in the Council Chamber of the Lyndhurst Municipal Center, 5301 Mayfield Road. It was moved by Mr. DeCrane, seconded by Mr. Sirk that the reading of the minutes of the Special Meeting held April 7, 2011, copies of which were mailed to all members, be dispensed with and said minutes stand approved as circulated. Councilman Ward recommended that the agenda items be taken out of order. Mr. Ron Fisher, developer, stated that the original final development plan was approved for four duplex lots for a total of eight units. He stated that recently there have been requests for a third car garage, which cannot be accommodated under the current approval. He is asking that the Planning Commission grant approval to put one house on two lots, to accommodate a three car garage. He further stated that the density of the development would be reduced, and he understands that the proposal for a three car garage would have to be approved by the Architectural Board of Review. In answer to Mr. Sirk's question, Mr. Fisher stated that this request is only for the lots which show duplexes. It was moved by Mr. Febo, seconded by Mr. DeCrane that the request to amend the final plan of development under Chapter 1161.09, Amendment to Plans, of the Planning and Zoning Code, be approved as submitted. Mr. Joseph Aveni, developer, presented a proposed revised plan to increase the density along the east side of the property. He stated that the market and economy have changed since the original proposal, and therefore would like to increase the density for more townhouses and to reduce the square footage. In answer to Councilman Ward's question, Mr. Puskas stated that ninety (90) units are allowed at that site; twenty-five percent (25%) percent of the units can be duplexes, for a total of eleven (11) duplex homes. He further stated that the original plan showed 46 units total; Mr. Aveni is now asking for fifty-six (56) units. Mr. Febo stated that when the original plan was proposed, it was a requirement that the developer maintain the ten thousand square feet (10,000) district along Winchester and Golfway. He further stated that this proposal shows duplexes abutting those roads, which are not permitted in that area. He then recommended that the proposed plan as presented be rejected. He then cited minutes from the previous proposal, which state that the zoning, which is ten thousand square feet, single family, must be maintained along Winchester Road and Golfway Lane. He then read in the previous minutes that the adjacent properties must be protected from loss of light, air and view. He further stated that with the proposed amendment the rear view from the existing houses along Winchester and Golfway will be greatly reduced. In answer to Mr. DeCrane's question, Mr. Puskas stated that abutting neighbors have been notified of this meeting; however no comments or questions have been received by the Building Department. In answer to Mr. Sirk's question, Councilman Ward stated that the zone map may not have been updated, however, the development in question is a Planned Unit Development, and follows the regulations of a PUD. Discussion continued on the regulations of a PUD, and the number of duplexes allowed in that zoning classification. Mr. Aveni stated that since the development was approved seven (7) years ago, the housing market has changed, and is proposing now what the market demands. He further stated that the four (4) existing duplex units abut single family homes. Councilman Ward stated that the existing duplex units abut single family homes on Winchester Road due to a concession of the Planning Commission because of the orientation of that land and the proposed exit onto Winchester Road, and building the duplexes on the corner of Eagle Point and Winchester was the best use of that particular area of land. He further stated that the Planning Commission may consider multi-family abutting single family if the residents along Winchester and Golfway agree to it. Mr. Febo suggested moving the duplexes in the cluster area of the development, so as not to abut single family homes. Mr. Ackerman, developer, stated that the proposed amendment to the plan was designed that particular way so as to allow a side loading garage on those particular parcels. Mr. Febo recommended a workshop session of the Planning Commission to work through the issues. Barb Drake, 1866 Winchester Road, stated that she received the meeting notice in the mail; however the notice never said that the density in the development would be increased. She stated that if neighbors knew the density would be increased, more would have shown up to voice their opinion. She further stated she does not want more homes than originally proposed along the eastside of the development which abuts Winchester, stating that it would be more difficult to sell her house. Lynn Barry, 1922 Winchester Road, asked about the style of homes behind Winchester Road and if the bocce court will still be part of the development. Mr. Aveni stated some homes will be ranches and some will be one and a half stories. He then stated that no bocce court will be installed. Mr. Febo stated that in further reviewing the proposed amended plan, he noticed that some of the lots are less than the required ten thousand (10,000) square feet. Mark Dinovo, 1906 Winchester Road, requested that the developer stick to the approved plan and stated that people who would like to downsize, would prefer a ranch style home, not a house with an upper level, which may fit the proposed plan better. He further stated that the view would be destroyed if houses with a story and a half were built. He also stated he is concerned about the drainage of the properties around the development; the water is not draining properly from his yard. Carmella Fletcher, 1914 Winchester, stated that the Planning Commission and Council set the laws so that single family homes abut single family homes for aesthetic, architectural and community reasons, to maintain a certain quality of life in Lyndhurst. She further stated that property values have dropped substantially in the past six years, and the proposed new homes which abut Winchester, being one and a half stories, would further diminish the view and the property values. Councilman Ward suggested a workshop session between the developer and the Planning Commission take place at everyone's earliest convenience, so as to reach some kind of agreement. It was moved by Mr. DeCrane, seconded by Mr. Sirk that this item be tabled pending a workshop session. It was moved by Mr. Sirk, seconded by Mr. DeCrane that the meeting be adjourned. The Planning Commission of the City of Lyndhurst will not hold a Regular Meeting in May. To meet in Special Session on Thursday, April 7, 2011 at 7:30 p.m. in the Conference Room of the Lyndhurst Municipal Center, 5301 Mayfield Road. Mayor Joseph M. Cicero, Jr., presiding. Approve minutes of the Regular Meeting held February 24, 2011.
Review Ordinance No. 2010-77 (Amended), relative to Electronic Display Signs and Permanent Banners. The Planning Commission of the City of Lyndhurst met in Special Session on Thursday, April 7, 2011 at 7:30 p.m., in the Conference Room of the Lyndhurst Municipal Center, 5301 Mayfield Road. Others Present: P T Murphy, Director of Law; L A Schlessel, Vice Mayor; L Puskas, Building Inspector; C J White, Secretary. It was moved by Mr. Febo, seconded by Councilman Ward that the reading of the minutes of the Regular Meeting held February 24, 2011, copies of which were mailed to all members, be dispensed with and said minutes stand approved as circulated. Mr. Paul Murphy explained that a memo was distributed to the commissioners along with the agenda and the proposed ordinance. He stated that the memo explained proposed changes to proposed Ordinance Number 2010-77; these proposed changes were brought about after speaking with various individuals. He then stated that after speaking with Kathy Fromet of Studio Graphique, Section 6 (B) of 1170.18, the word PHOTOCELL should be PHOTOSENSOR. Mr. Murphy further stated that Section 1170.18, (6) (A), after LOCATION AND TIME should read, "WHEN MEASURED AT THE RECOMMENDED DISTANCE, BASED ON THE DIGITAL DISPLAY SIZE." In answer to Mr. DeCrane's question regarding electronic signage following the curvature of an existing sign and regulations governing sign styles, Councilman Ward stated the sign in question will be curved, but multiple sign panels could achieve the same look. He further stated that all proposed signage would have to be approved by the Architectural Board of Review. In answer to Councilman Ward's question regarding regulations on clarity of the sign message, Mr. Sirk stated that the proposed ordinance does say full color spectrum, which would limit the signage to LEDs that could produce full color. Mr. Febo asked if this proposed ordinance would allow electronic signage similar to the one which is in front of South Euclid City Hall. Councilman Ward stated no, there were only two colors on that sign, and the clarity is not in conformance with the proposed legislation. Mr. Febo stated he feels that this proposed ordinance may be too restrictive as there are few properties in the city that would accommodate electronic signage, according to the proposed legislation. Mr. Murphy explained that the intent was to craft an ordinance as a starting point for certain parcels in the city that are of a certain size, which has a certain number of tenants that wanted a larger sign than would be permitted in the city on any property in order to draw attention to that property. He further stated that once the legislation is in place and tried, then City Council can modify it as they see fit. Discussion continued regarding two (200) hundred feet between signs, on different properties. Councilman Ward explained that the two (200) hundred feet regulation is to minimize clutter along the right of way. Mr. Sirk suggested adding a section, in the future, within the legislation for smaller electronic signs and banner signs. He also stated that he would like to see consistencies with any new signage within the city, moving toward the new technology. Discussion continued on the size of the digital display area as stated in Chapter 1170.18 Section 11 (B). It was decided that that portion of the proposed ordinance read: . . . "THE TOTAL HEIGHT SHALL BE A MAXIMUM OF TEN FEET FROM GRADE, TO INCLUDE A MAXIMUM THIRTY (30) FOOT WIDE SIGN FACE AREA AND A MAXIMUM SIX FOOT HIGH BASE. THE SIZE OF THE DIGITIAL DISPLAY SHALL NOT EXCEED 120 SQUARE FEET, SHALL BE FULLY FRAMED AND SHALL NOT EXCEED 50% OF THE TOTAL AREA OF THE SIGN." In reference to 1170.19 (J), Councilman Ward recommended the following verbiage: "THE ARCHITECTURAL BOARD OF REVIEW RESERVES THE RIGHT TO APPROVE THE SUPPORT SYSTEM, MESSAGE AND IMAGE CONTENT OF ALL BANNERS." It was moved by Councilman Ward, seconded by Mr. DeCrane that recommendation be made to Council to adopt proposed Ordinance No. 2010-77(Amended), with changes made as stated in these minutes, relative to 1170.18 (B), Section 1170.18, (6) (A), 1170.18 Section 11 (B) and 1170.19 (J). Motion carried, meeting adjourned at 8:40 p.m.
To meet in Regular Session on Thursday, February 24, 2011 at 7:30 p.m. in the Conference Room of the Lyndhurst Municipal Center, 5301 Mayfield Road. Mayor Joseph M. Cicero, Jr., presiding. Approve minutes of the Regular Meeting held January 27, 2011. Continue review of proposed Ordinance 2010-77, amending Chapter 1170 of the Codified Ordinances of the City to permit electronic display signs. The Planning Commission of the City of Lyndhurst met in Regular Session on Thursday, February 24, 2011 at 7:30 p.m., in the Conference Room of the Lyndhurst Municipal Center, 5301 Mayfield Road. Mayor Joseph M. Cicero, Jr., Chairman, presiding. It was moved by Councilman Ward, seconded by Mr. DeCrane that the reading of the minutes of the Regular Meeting held January 27, 2011, copies of which were mailed to all members, be dispensed with and said minutes stand approved as circulated. A letter from Mr. Mitchell Schneider of First Interstate Properties was distributed to the Planning Commission. A copy of this letter will be made part of the permanent file. Mr. Febo stated that if the proposed ordinance would directly help the city and the residents, then he would be in agreement to allow electronic signage. He then categorized property uses in the city for different signage criteria. Councilman Ward stated that school properties and city properties are exempt. He further stated that he agrees that criteria should be established that would be adhered to in the Community Business District. He further stated that although the proposed ordinance is for larger land areas, he feels that criteria should be established for smaller business properties along Mayfield Road. He then stated that electronic signs should be considered on properties with at least five hundred (500) feet of frontage, or a minimum acreage. The criteria adopted would have to be more encompassing as to location and size of property, as well as the need to get messages out effectively. Mayor Cicero concurred, stating criteria needs to be in place to build from. Kathy Fromet, Studio Graphique, has proposed an electronic display sign for Legacy Village, which will be as long as the existing masonry Legacy Village sign. She stated that the proposed electronic sign will have three panels; however, when looking at the signage, it looks as though it is one sign, and it displays as one sign. She stated that the electronic sign would give Legacy Village the opportunity to display events, new stores opening, and existing stores' messages, instead of having the temporary signage above the masonry "Legacy Village" sign. She further explained that if the electronic signage was to be placed at Legacy Village, it would not have a lot of animation; it would not be flashing or constantly changing, but a method for Legacy Village to promote different events and establishments. She also stated that the electronic sign would be high quality, would be full color, and in keeping with the upscale look and feel of Legacy Village. She then addressed the safety issue, stating that in a three year period of time, electronic signage and/or billboards have not had any negative effects on traffic safety. In answer to the Commission's question regarding brightness of electronic signs, Ms. Fromet stated that brightness is measured in foot candles, and would find out the illumination brightness of the electronic sign they have chosen for Legacy Village. In regards to the proposed ordinance, Mr. Sirk recommended deleting 1170.18 (A) (3), Color, which states "Copy (lettering) shall be limited to a single color with a contrasting background." Councilman Ward concurred. Mr. Kevin Zak, Dorsky - Yuh Architects, stated that wording in the proposed ordinance should reflect criteria to insure the cabinet of the sign is in keeping with the aesthetics of the rest of the buildings in the area. In answer to Mr. Sirk's question in regards to multiple advertising on the segmented panels on the electronic sign for Legacy Village, Ms. Fromet stated that the sign will have the capacity to advertise three different events and/or establishments; however they will follow the ordinance when passed. Councilman Ward stated that he would like to establish a minimum frontage size, on which electronic signs can be placed, and not restrict it to just establishments with acreage. Mr. Sirk stated that he feels that additional signage on a property should be limited; if there is an electronic sign on the property, then somehow limiting other signage should be looked into. In answer to Mr. Sirk's question, Mr. Murphy stated that in 1170.18 (B), the words "TO INCLUDE A MAXIMUM TWENTY FOOT HIGH SIGN FACE AREA AND A MAXIMUM ONE FOOT HIGH BASE," has already been deleted. Mr. Sirk also stated that he hopes the illumination is not too restrictive, the proposed ordinance states one foot candle. Ms. Fromet stated that she would look into the one foot candle illumination and the illumination contrast from day to night. It was moved by Councilman Ward, seconded by Mr. DeCrane that the Law Director rework the current proposed ordinance to include suggested changes made this evening as well as address the information from Kathy Fromet in regards to lumens and then present the Commission with a reworked draft within the next two weeks to determine where to allow electronic display signage. Yeas: DeCrane, Febo, Sirk, Cicero, Ward. It was moved by Councilman Ward, seconded by Mr. DeCrane that the meeting be adjourned. Motion carried, meeting adjourned at 8:37 p.m.
To meet in Regular Session on Thursday, January 27, 2011 at 7:30 p.m. in the Conference Room of the Lyndhurst Municipal Center, 5301 Mayfield Road. Mayor Joseph M. Cicero, Jr., presiding. Approve minutes of the Regular Meeting held May 27, 2010.
Review an ordinance amending Chapter 1170 of the Codified Ordinances of the City to permit electronic display signs in the city and declaring an emergency. The Planning Commission of the City of Lyndhurst met in Regular Session on Thursday, January 27, 2011, at 7:30 p.m. in the Conference Room of the Lyndhurst Municipal Center, 5301 Mayfield Road. Mayor Joseph M. Cicero, Jr. presiding. It was moved by Councilman Ward, seconded by Mr. DeCrane that the minutes of the Regular Meeting held May 27, 2010, copies of which were mailed to all members, be dispensed with and said minutes stand approved as circulated. The question was put to a voice vote and passed with Councilman Ward abstaining. Mr. Kunz explained that there has been a request by a business owner in the city to have an electronic display sign, for more exposure to the businesses in his center. He further explained that the proposed ordinance would allow for electronic display signs to be located on land areas with fifty (50) acres or more. Mayor Cicero stated that the city needs to attain and retain businesses and in doing so, the most modern way for businesses to advertise is the electronic display signs. He further stated that these types of signs would be able to promote many tenants on the display, taking away the need for one sign per tenant, which would mean less signage and less clutter. Mr. Murphy explained that this proposed ordinance would be for large parcels, fifty (50) acres or more, with numerous tenants. He further stated that these signs have LED lighting, they are not neon signs; the copy is muted and generally very tasteful. He further stated that this proposed ordinance is currently before council, and several considerations need to be made by the Planning Commission and ultimately by council; does the Planning Commission want to allow these types of signs, if so, on what size property would these be allowable, the size of the signs and the parameters. He then stated that he found one error: In Section 1170.18 (B) the maximum height of the sign would be five (5) feet from grade, but should read twenty (20) feet from grade. Councilman Ward stated in Section 1170.06 (k) should read: . . . EXCEPT AS PROVIDED IN SECTION 1170.18. Mr. Sirk stated that Section 1170.18 should read: . . . AS DEFINED IN SECTION 1270.04 (b) (9), which should also be reflected in 117.018 (a) as well. Mr. Febo gave a brief history on why these types of signs were prohibited in the past, stating that they were a threat to public safety because of the distraction the signs would cause for drivers. He then stated that he is opposed to these types of signs due to the distraction for drivers. In referring to Section 1170.18 (B), the maximum height of twenty (20) feet from grade, and one hundred twenty square feet of digital display, he feels is extremely large. Councilman Ward explained that the electronic signs will not be flashing, but the messages and/or graphics would fade out to a blank screen and come back in at predetermined intervals. Mr. DeCrane also stated he is not in favor of the electronic signage due to many reasons, one being that it cheapens the aesthetics of the city, and suggested locating the sign somewhere on the property away from the main roads. Councilman Schlessel stated the message on the electronic sign can be restricted, or turned off for periods of time. Mayor Cicero stated that he doesn't feel electronic signs are a distraction, that nowadays, people are accustomed to those types of displays. He further explained that the city has to partner with the businesses in the community to help them survive in this economy. He further stated that electronic signs are inevitable and will be proposed in the not to distant future, and this Planning Commission has the power to regulate the inevitable signage as they determine necessary. Mr. Sirk stated that he does not agree with limiting the copy (lettering to a single color against a contrasting background, as stated in 1170.18 (3). He further stated that he feels the proposed ordinance has to be reworded to describe exactly what kind of electronic signage would be acceptable, and in keeping with the character of the city. He further stated that the copy should fade in and out, and not flash. Councilman Ward concurred. Mr. DeCrane would like to see the message only relating to a single tenant or entity at one time. It was moved by Councilman Ward, seconded by Mr. DeCrane that this item be tabled and discussed in a workshop session to review the language of the proposed ordinance and to review the type of full color graphic electronic signage that will be aesthetically acceptable in the city. Motion carried, meeting adjourned at 8:50 p.m.